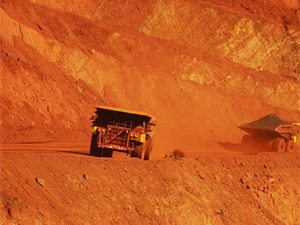 [miningmx.com] – THE price of iron ore was heading back below $50 a tonne as low cost supplies from Australian and Brazil expanded, said Bloomberg News in an article that was republished by BDLive. Freight data from terminals in the two biggest shippers showed volumes rose 10% in the first half of this month compared with the average over the first five months, said Bloomberg News which was citing a report by Goldman Sachs. The rise will be sustained, allowing inventories in China to recover and sending prices lower again, Goldman Sachs said, predicting ore will average $49/tonne in the third quarter and $48/tonne in the final three months.